A camel coat is a must-have for every dude out there. Do you agree? A coat can drastically step up any outfit while it keeps you warm. I partnered with Banana Republic to showcase an easy and effortless look featuring one of their coats for FW '16. 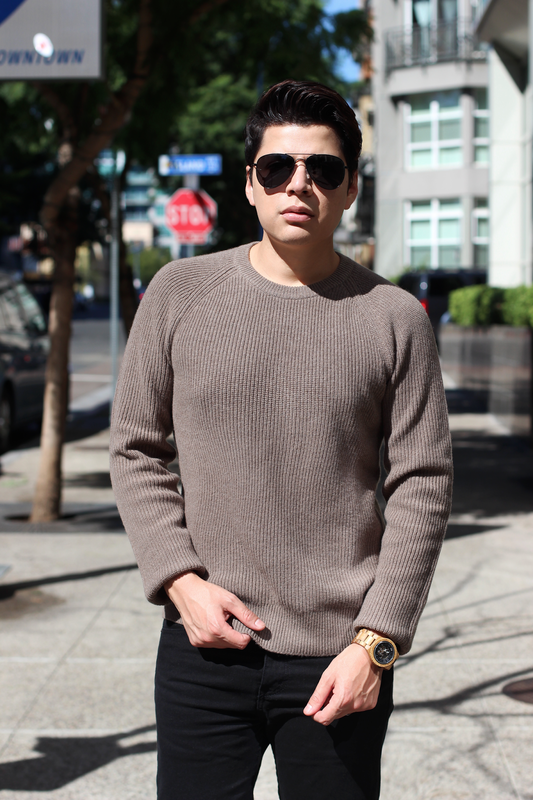 If it gets a bid hot, take it off and rock one of BR's Italian Wool sweaters. I am patiently waiting for it to cool off in San Diego to wear this coat all day long. I'm heading out to NYFWM in January, so I know for SURE that this is the first item I'll be packing in my suitcase.